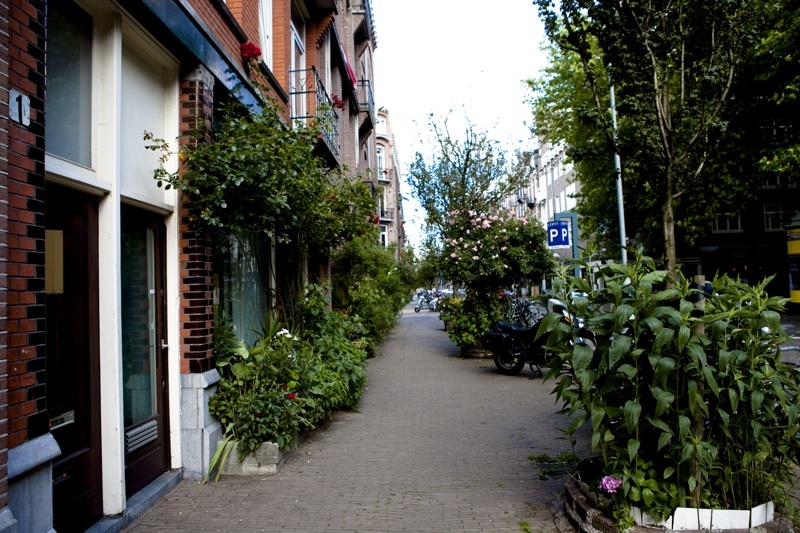 The Geveltuindag is more than a tradition that happens since the 80s in the quarter De Pijp in Amsterdam, where people used to remove tiles in front of their house entrances, in order to put soil, plants and flowers. The constant seeking for a greener and friendly public space made the locals start this semi-illegal practice of developing small (mostly vertical) gardens in the public pedestrian path and in the facades of the buildings. 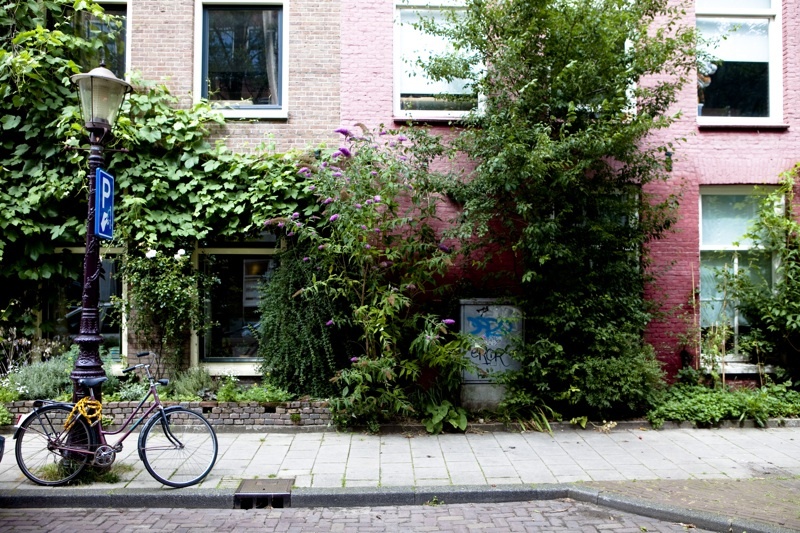 De Pijp is nowadays undergoing a constant gentrification, while it used to be a very popular area of the city. Meanwhile, it spreads its tradition to the whole Amsterdam, where mini-gardens obtained removing tiles in front of the door are becoming more and more common; so common that nowadays the municipality legally allows the practice and, moreover, encourages it, through the institution of the Geveltuindag itself, literally the “Green Facade Day”, where workers are at the disposal of citizens’ necessities, helping in creating a greener neighborhood.